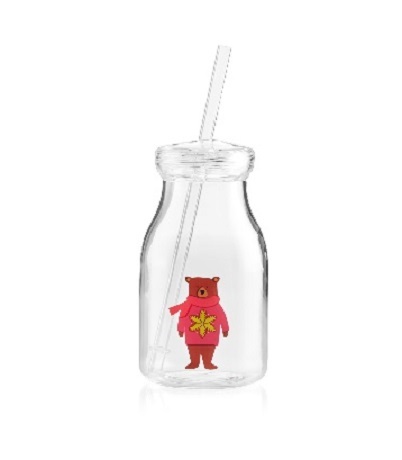 This recall involves the Crate and Barrel Holiday Bear Acrylic Milk Bottle (SKU 684364) which is a clear acrylic bottle measuring 7 centimetres wide at the base and 14 centimetres high (20 centimetres with removable plastic straw). 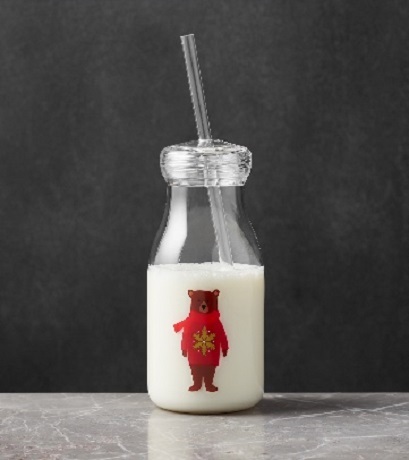 A graphic of a bear in a red sweater is printed on the wide part of the bottle. The plastic straw may crack, creating a laceration hazard. As of February 5, 2019, the company has received no reports of incidents in Canada, and no reports of injuries. Approximately 393 units of the affected products were sold in Canada. The affected products were sold from August to November 2018. Crate and Barrel Canada, Inc.
Consumers should immediately stop using the product and return it to the place of purchase for a full refund. For additional information, consumers can contact Crate and Barrel at 1-800-451-8217 Monday to Friday from 8:00 am to 8:00 pm CT, Saturday to Sunday from 8:00 am to 7:00 pm CT, or visit the firm's website.